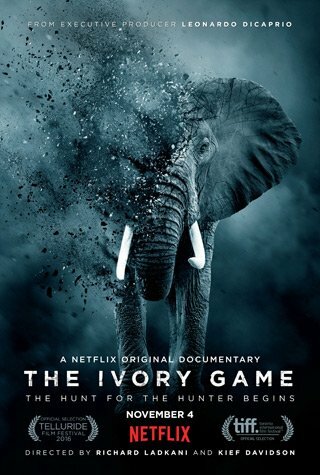 From executive producer Leonardo DiCaprio, The Ivory Game is an epic documentary thriller that goes undercover into the dark and sinister underbelly of ivory trafficking. Award-winning director Richard Ladkani and Academy Award®–nominated director Kief Davidson filmed undercover for 16 months in China and Africa with a crack team of intelligence operatives, undercover activists, passionate frontline rangers and tough-as-nails conservationists, to infiltrate the corrupt global network of ivory trafficking. A production from Terra Mater Film Studios and Vulcan Productions, this stunningly photographed exposé follows poachers in pursuit of the ‘white gold’ of ivory. Ultimately, the film becomes an urgent wake-up call that proves time is running out for the African elephants, dangerously nearing closer and closer to extinction.